This metallic floral surplice dress with a crossover hemline is a beautiful option for any holiday party or as a New Years Eve dress. It can be worn year-round depending on how you accessorize. The Ornate Metallic Floral Surplice Capsleeve Pencil Dress is fully lined and made of a fabric with a metallic floral patterned lace overlay. The crossover surplice neckline, cap sleeves, empire waist, and crossover hemline all combine effortlessly to create a flattering shape. A hidden back zipper completes this dress. The Ornate Metallic Floral Surplice Capsleeve Pencil Dress would look nice paired with black, beige, or metallic pumps or strappy heels and a clutch. 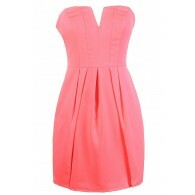 This dress can be dressed up as a cocktail dress or dressed down for a networking event. Details: Fully lined. Hidden back zipper. 100% nylon. Hand wash cold water. Do not bleach. Do not tumble dry. Do not iron. Do not dry clean. Small measurements: Length from top of shoulder to hemline: 34". Bust: 34". 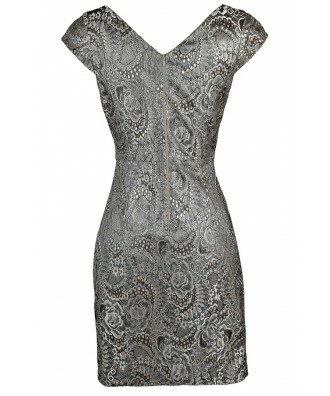 You have added Ornate Metallic Floral Surplice Capsleeve Pencil Dress into Wishlist. 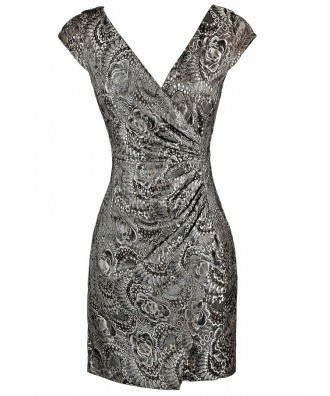 You have added Ornate Metallic Floral Surplice Capsleeve Pencil Dress for Stock Notification. 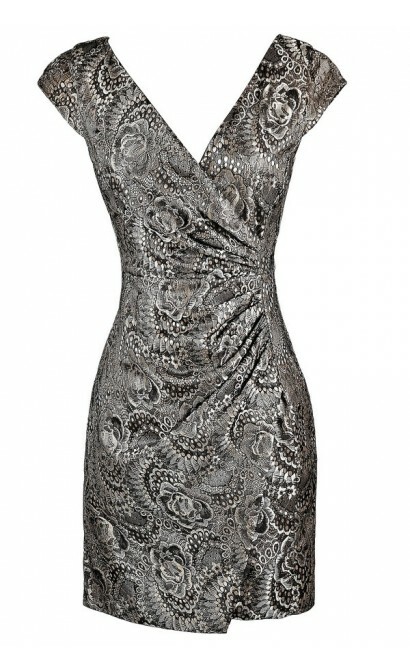 You have set Ornate Metallic Floral Surplice Capsleeve Pencil Dress as a loved product. 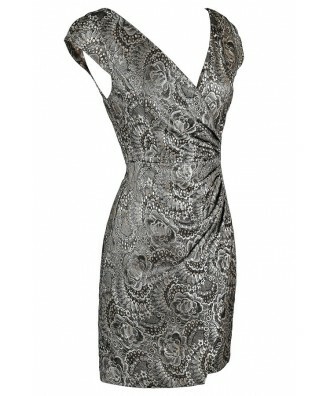 You have removed Ornate Metallic Floral Surplice Capsleeve Pencil Dress as a loved product.